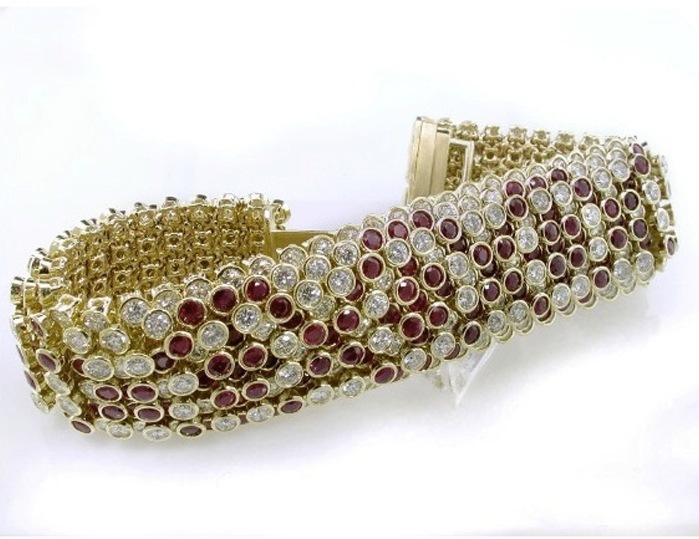 Ruby and Diamond Flexible Bracelet set with 25.94cts. round brilliant shaped diamonds and 28.10cts. round rubies, set in 18kt yellow gold tube settings.